Michael Daniel Ho - The Wildlife Ho-tographer: Canon Working On EF 16-35mm f/2.8L II Replacement? 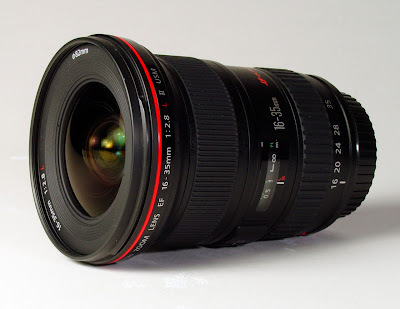 Canon Working On EF 16-35mm f/2.8L II Replacement? Canon may be ready to announce the EF 35mm f/1.4L II lens in the second half of 2015. Although the recently announced EF 11-24mm f/4L received a lot of good review, it is still a bit 'slow' for many photographers (including yours truly) looking for a wide angle zoom lens. The replacement of the venerable EF 16-35mm f/2.8L II lens may be in the works. The lens was announced back in 2007 and is my favorite wide angle zoom in my equipment bag. The new lens' focal length may vary slightly, moving a little bit wider to perhaps 14mm but retaining the fast speed of f/2.8. It will most probably not have IS in the interest of saving weight and keeping the price 'affordable'.